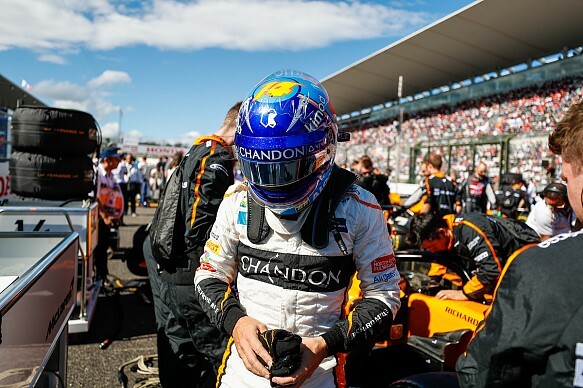 Fernando Alonso says the penalty he was handed in the Japanese Grand Prix shows "how bad Formula 1 is" with its race stewarding. 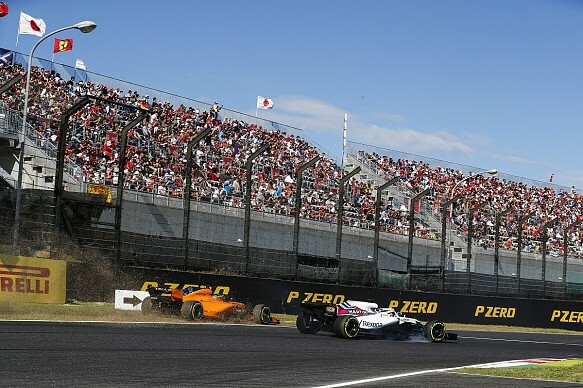 Alonso was given a five-second penalty for leaving the track and gaining an advantage after he was sent onto the grass by Lance Stroll's Williams as the duo braked for the final chicane early in the race. The stewards found Stroll guilty in the incident and also handed him a five-second penalty for the contact and for pushing the McLaren off track. He later apologised to Alonso. Both drivers received penalty points - one for Alonso and two for Stroll. They finished 14th and 17th respectively. Alonso admitted he was baffled by his penalty and said it showed how inconsistent F1 stewarding is. "It's difficult to understand the decision but you know, this is how bad Formula 1 is," said Alonso. When asked in what way he meant 'bad', he replied: "In the decisions, in the randomness, in the pure consistency. "You are braking on the outside at the last corner, and one guy didn't see you and came here to apologise after you go on the gravel and you get the penalty. It's a shame." The two-time champion, who will leave F1 at the end of the season, did not blame Stroll for the incident. "He didn't see me. If he sees you and pushes you on the grass it's another thing, but it was just an unfortunate situation in a race situation," he added. "It doesn't change much because instead of 14th maybe you finish 12th [without the incident], but it's the way it is."